Apologies to anyone who visited last week looking for the article on ‘Women Who Kill’ that I promised in my previous blog post. Illness and Easter wiped out a lot of writing time so I spent what little time I had writing my third psychological thriller, The Forgetting. I’m hoping to hit 20,000 words by the end of this week. Only 2,661 words to go. Unfortunately I haven’t got time to write that article now but I do highly recommend the book Women Who Kill: Profiles of Female Serial Killers by Carol Anne Davis. There aren’t any serial killers, female or otherwise, in THE LIE but I did want to research what might make a woman kill, other than self-defense or the defense of her children. It’s dark reading, I’ll say that much. There are two threads in THE LIE – a present day thread and a past thread. All the subjects I’ve covered so far – cult leaders, sociopaths, toxic friendships and brainwashing and mind control – were for the past thread. For the present day thread, where ‘Jane’ attempts to build a new life for herself, I needed to research animal sanctuaries. I’m very fortunate to have a friend, Anna, who works at RSPCA Little Valley Animal Shelter in Exeter and she very kindly asked her boss if she could spend some time showing me around and answering my questions. If you’ve already read THE LIE some of the photos below might seem familiar as I based a lot of the layout of the fictitious Green Fields Animal Shelter in the book on Little Valley. This is the entrance, the reception is just to the left. They open to the public at 11am and last entry is 3.15pm. Most people make an appointment but you can just turn up. It’s closed on a Wednesday when the vet visits. 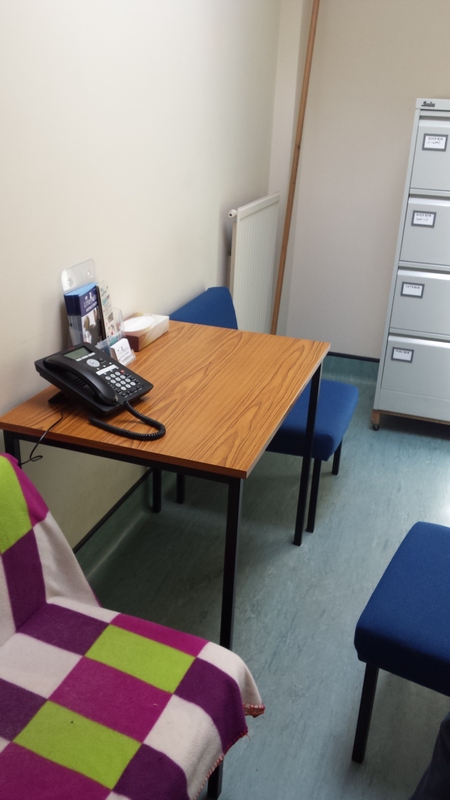 And this is the room where potential adopters are interviewed. I set a scene here in THE LIE. This is the dog closure. All the dogs were outside in their runs or being walked in the fields when I visited. I wasn’t allowed to meet any of the dogs, or get close to their pen, to avoid distressing them but their barks rang out through the whole sanctuary. Although Anna mostly cares for the small animals (ferrets, mice, guinea pigs, rabbits etc) she talked me through a typical day for a member of staff who looks after the dogs – cleaning, feeding, walking, washing bedding and toys, medication, health checks, preparing for new animals and generally spending time with the dogs. 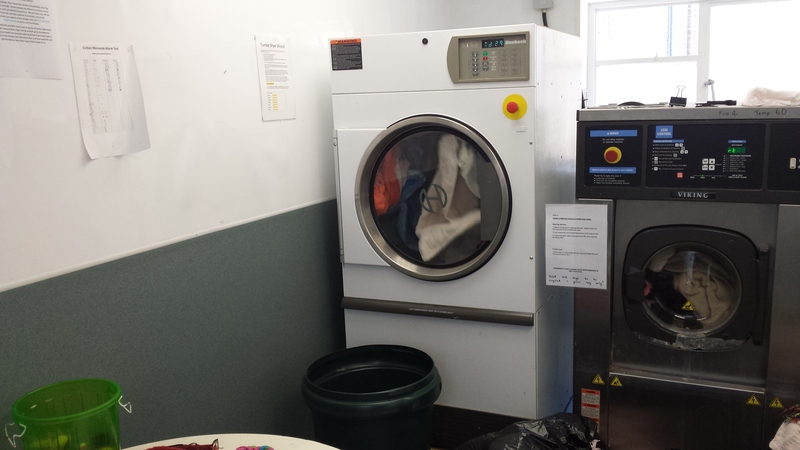 A LOT of washing goes on at an animal sanctuary. I set a scene between Jane and Angharad in the laundry room. We talked about the processes involved in checking in a new dog and assessing it and what happens if a dog is part of a prosecution case. We also talked about ‘black dogs’ (bigger breeds like Staffies etc) and how they are handled and precautions that are taken to ensure staff members are safe at all times. New dogs are observed to see how they interact with humans, other dogs and cats. 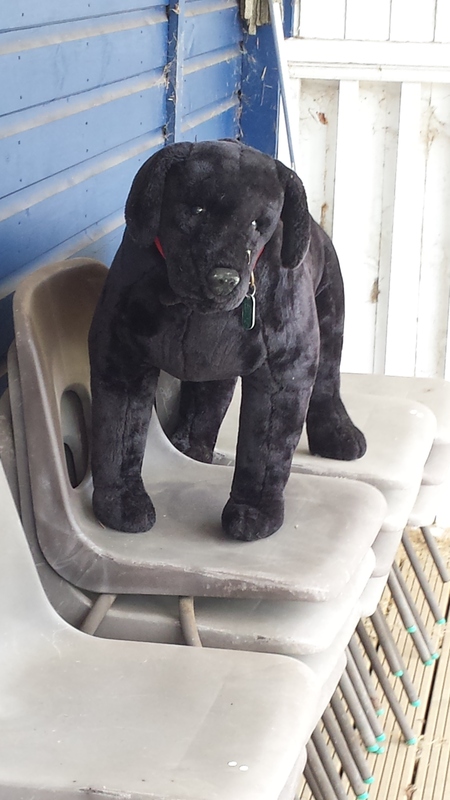 This is ‘Rover’, a stuffed dog. The staff will observe how a dog reacts to the sight of ‘Rover’ if it has a history of aggressive interaction with other dogs. In THE LIE there’s a scene where Jane, Will and Chloe play with some kittens in the ‘cat sitting room’. It’s a space where potential owners can spend time with the cats to get to know them in a more natural environment before they adopt them. 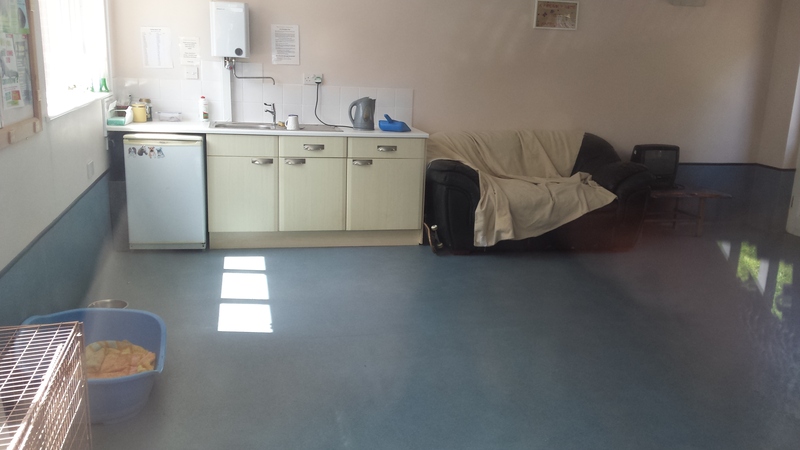 There’s also a dog ‘sitting room’ where potential owners get can to know dogs and puppies. It’s also used by the dog behaviourist who visits every two weeks. 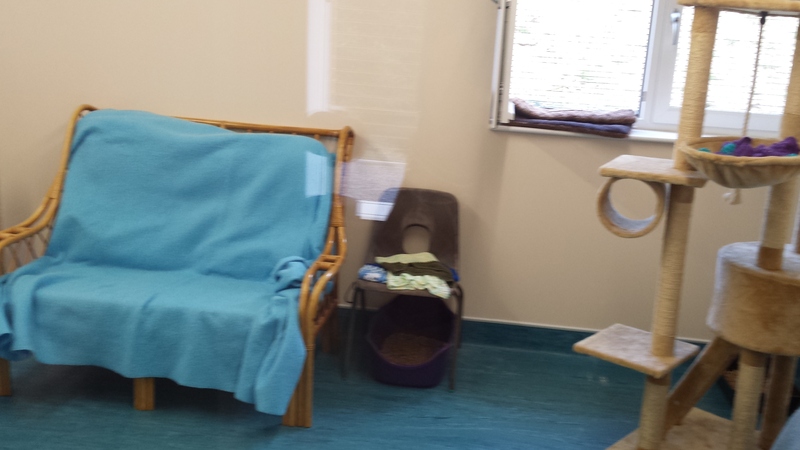 A sitting room where potential owners can interact with cats in a more natural environment and the staff can observe how the animals behave in a home environment. 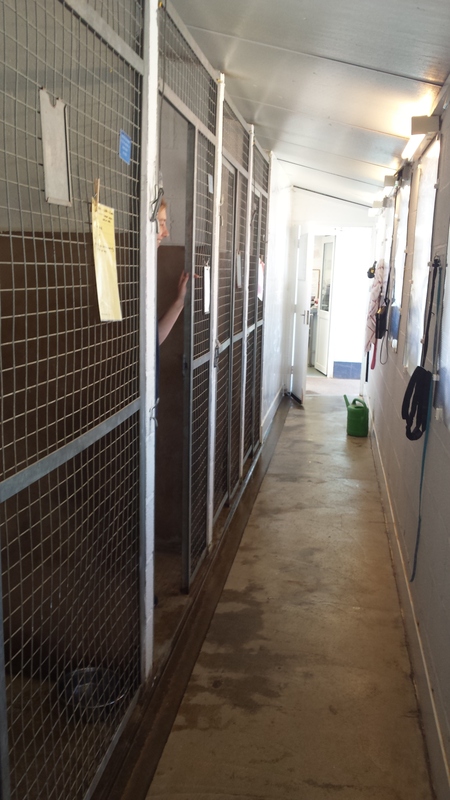 Where potential owners can interact with the dogs in a more ‘home like’ environment. 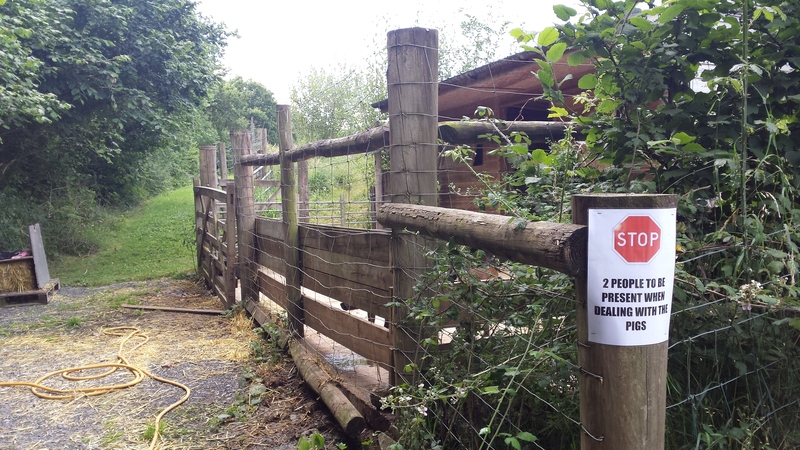 All the dogs are walked in the fields that flank the animal sanctuary. 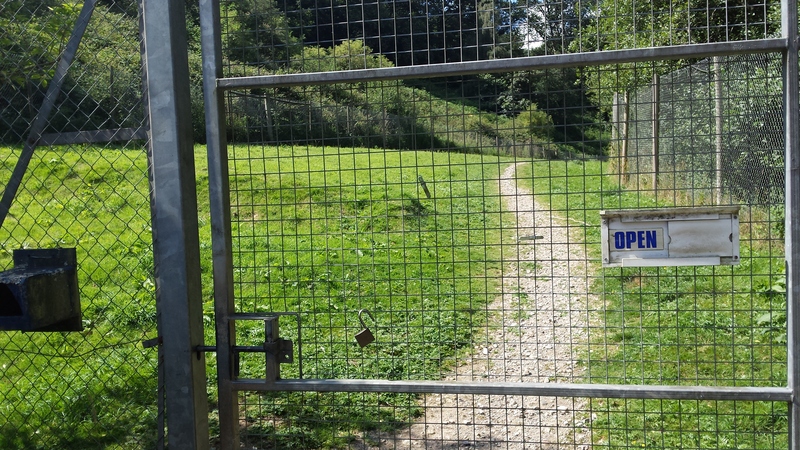 The dogs are walked in the fields that are accessed via a gate at the back of the sanctuary. 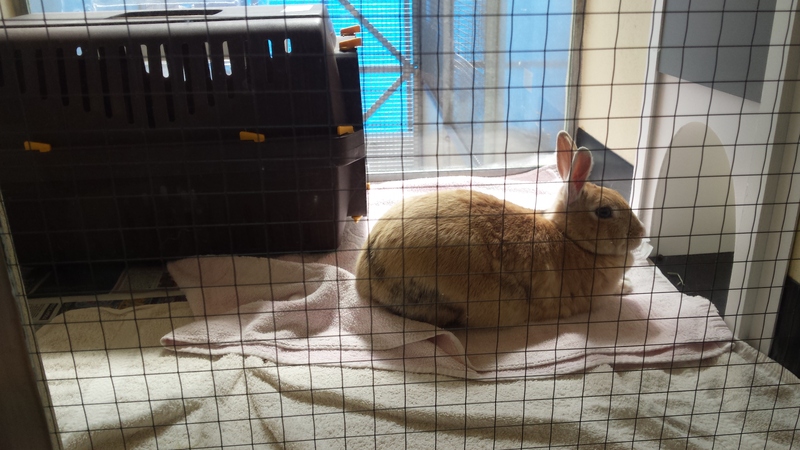 The majority of my questions were about caring for the dogs but Anna showed me the other enclosures too. 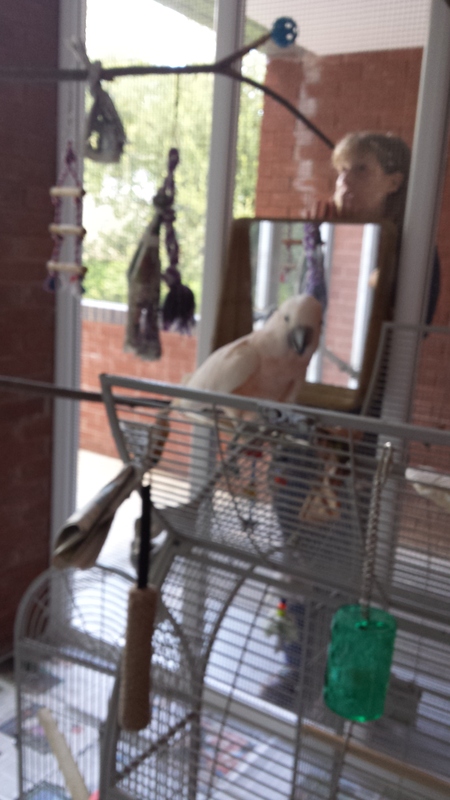 I wish I could tell you what Anna told me about this parrot and where he came from but I’ve been sworn to secrecy. What I can say is that I’ve NEVER had a parrot flirt with me before! There was something distinctly unnerving about the way he tilted his head to once side, fixed me with his beady eyes and then scooted across the branch towards me. He swore too. If you read THE LIE you’ll notice he makes a cameo. They look harmless enough but these part-boar, part-something unknown pigs have got a vicious streak and have to be handled very carefully. They’re clever too. I’ve never seen an enclosure with so many locks and catches – they need them because they’re little escape artists. 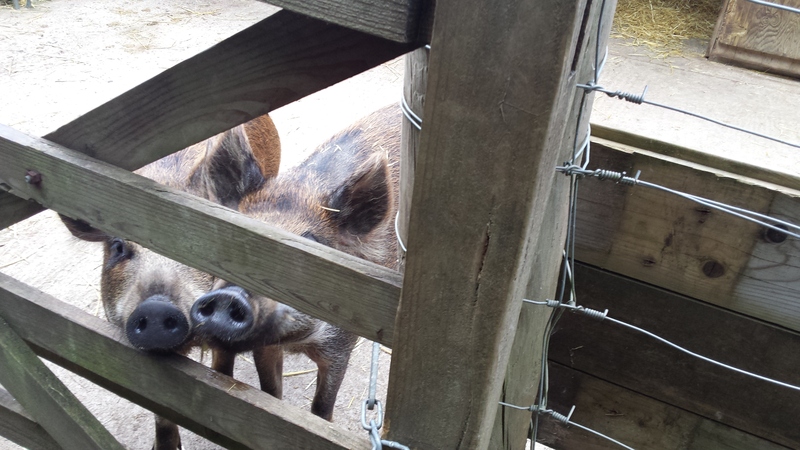 Anna told me how they once locked her in the shed at the back of the enclosure by flipping the catch over with their snouts. That was another ‘I’m going to use that in the book…’ moments. 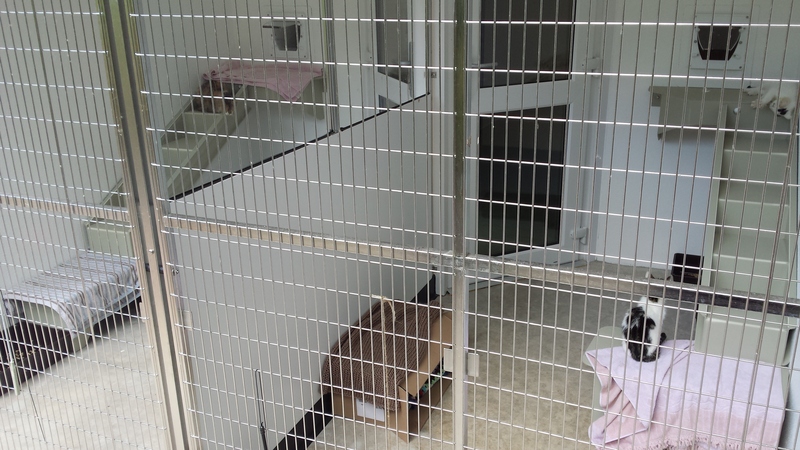 I can’t thank Anna and the staff at RSPCA Little Valley Animal Shelter for their kindness and their help. It was absolutely invaluable and the present day setting of THE LIE wouldn’t be as authentic as it is without their input. 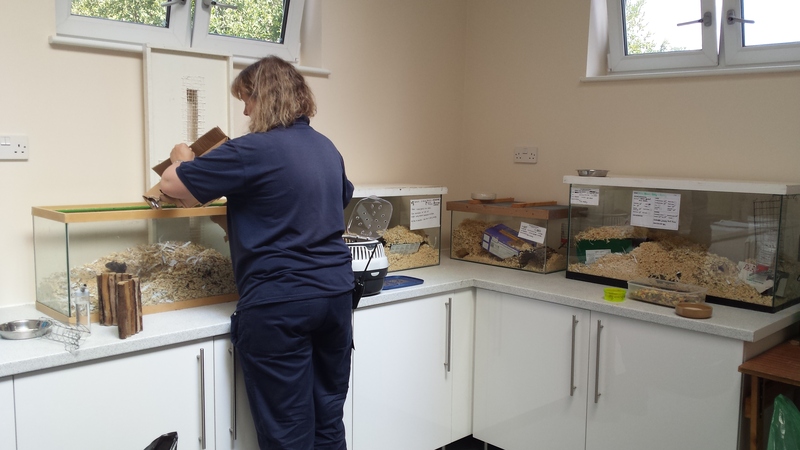 I so enjoyed my visit and I was impressed by their hard work and the love and care they put into looking after the animals and trying to find them new homes. They do a really valuable job. Little Valley are currently trying to raise money to help fund a new dog kennel. Any donations they receive will make a HUGE difference and, in return, you will get not just a warm, fuzzy feeling for helping improve the life of a mistreated or abandoned dog but also a thank you on their Facebook page, a car sticker, pinbadge, bag or even a kennel named after you! Donate here. 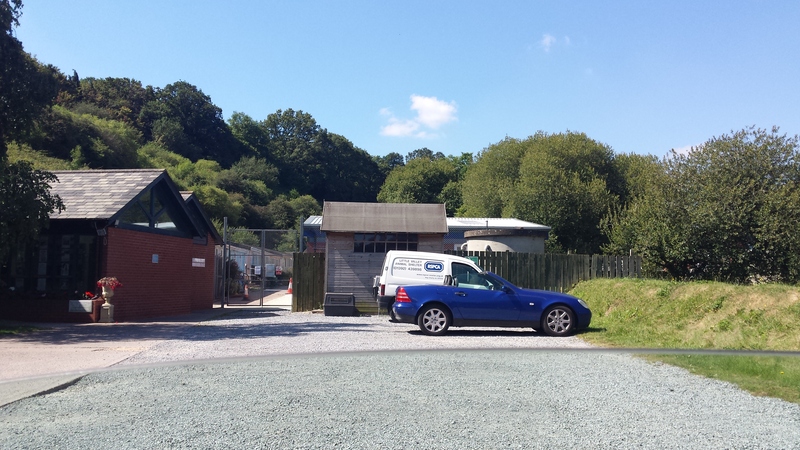 This entry was posted in Research, The Lie and tagged Little Valley Animal Shelter Exeter, what are the day to day taks in an animal rescue centre?, what does an animal rescue centre look like, what does an animal sanctuary look like, Working in an animal shelter. Bookmark the permalink. Very interesting to see where you did your research. 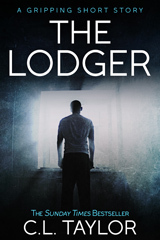 I have read the book for part of the blog tour. It kept me on the edge of my seat and I loved it. I’m so pleased! Thanks so much for taking part in the blog tour.